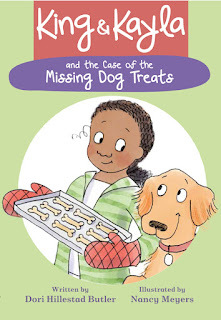 When we first saw this brand-new beginning chapter book mystery series from Dori Hillestad Butler (author of The Buddy Files), we knew we had a winner. And the King & Kayla fan club has only grown from there. If you haven't yet met this endearing duo—and even if you have—find out more from the series editor Kathy Landwehr, get some free King & Kayla-themed activities, and enter King & Kayla's world! Q: When you first saw Dori's proposal for the King & Kayla series, what made you say, "I LOVE this! It's my favorite thing!"? A: It’s very hard to write simply—and to do so while also telling a well-constructed mystery story and introducing two endearing characters is a real accomplishment. Dori Butler is a natural at telling these simple stories and making them fun and engaging. Q: There are countless easy readers on the market today—what does King & Kayla bring to the table that's missing from current offerings? 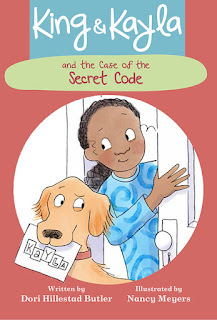 A: Each King & Kayla story is a delightfully constructed and satisfying little mystery. 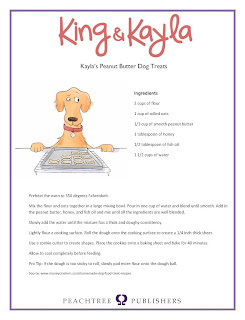 King and Kayla each contribute to the solution, using their distinctive personalities and skills. And their process also offers a terrific model of deductive reasoning. Q: So much research went into each detail of these books. What was your approach on the following and how did you determine which direction to take? A: I started by reviewing all of the Geisel Award-winning early readers for the past several years, as well as other popular and well-received books in this category. That helped us develop a model for layout and design. The text was in excellent shape editorially, but the author and I made sure that each story unfolded in a somewhat predictable manner; the mystery was solved in a consistent pattern, and the key elements occurred at roughly the same point in each story. We also made sure that certain elements, such as Kayla’s lists and King’s exclamations, were consistent in style. Once we moved to design and layout, we focused on font selection initially, so that we could determine how much space the text would take up on each page; that gave the illustrator some sense the room she had to work with. After we’d settled on the font, the size, and the leading, we moved onto the next level of typography decisions. Would we indent paragraphs? Use page numbers? 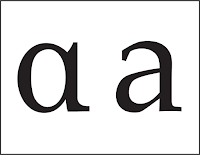 Allow styles like bold or italic? Involve punctuation like ellipses? Q: King is loyal, but a little distracted. What makes him the perfect partner for Kayla's adventures? 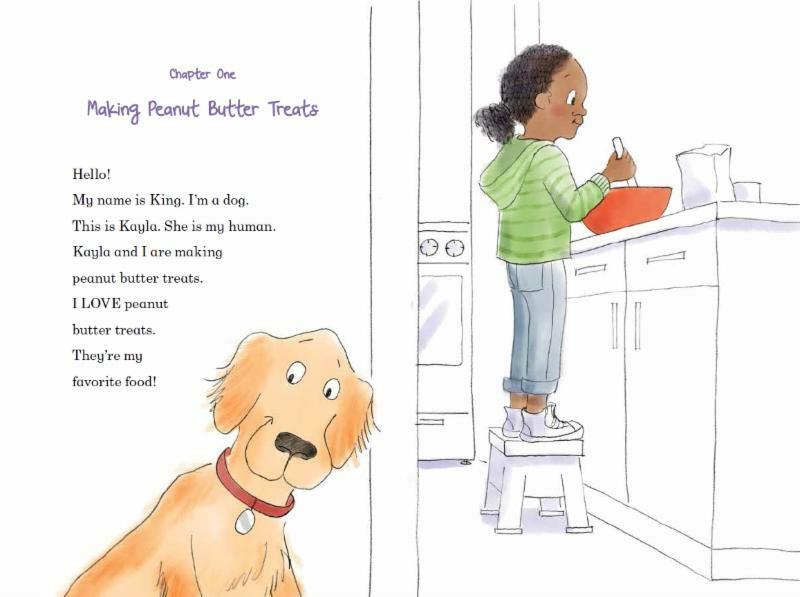 A: King may have a short-attention span—as so many of us do—but he also notices details that Kayla misses, including things like smells and clues that are on a dog’s eye level. Plus, he can be single-minded when something bothers him; in some cases, his actions force Kayla to take notice of things she might otherwise overlook. Q: What's next for this dynamic duo? A: King & Kayla and the Case of the Mysterious Mouse will be out in fall 2017. When King’s ball goes missing, Cat with No Name tells him that a mouse took it. But how could a tiny mouse take a dog toy? Then in spring 2018, we’ll have King & Kayla and the Case of the Lost Tooth. Kayla puts her tooth in the Tooth Fairy pillow, but then it disappears. If the Tooth Fairy doesn’t have it, then where is it? 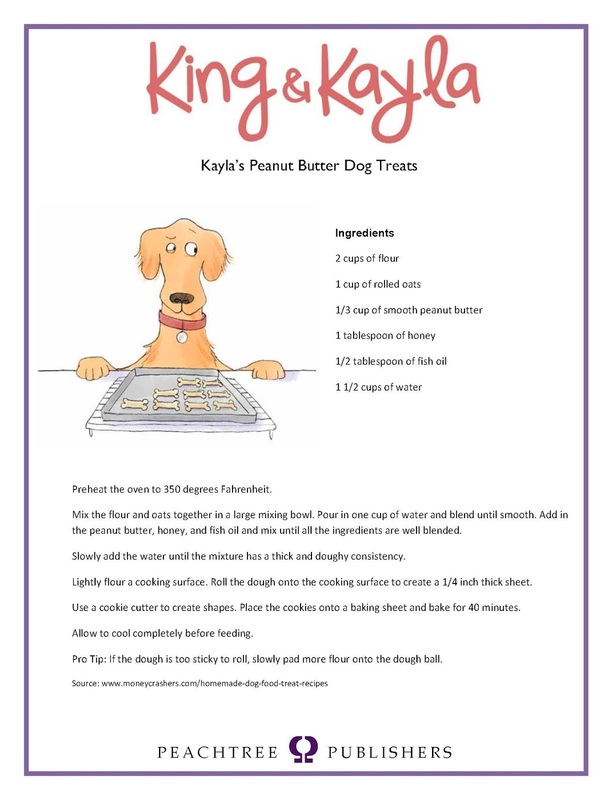 Get the King & Kayla Decoder and Dog Treats Recipe on Pinterest or download them. 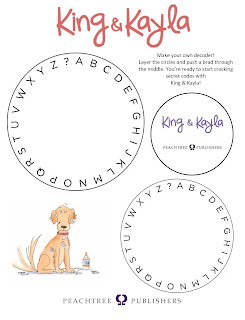 You can find King & Kayla and the Case of the Missing Dog Treats and King & Kayla and the Case of the Secret Code at your local library, indie bookstore, or Barnes & Noble.